HUNTINGTON, WV- The West Virginia Higher Education Policy Commission, West Virginia Department of Education, and Cabell County Commission present the BBC Concert Orchestra. Considered to be one of the UK’s most versatile ensembles, the BBC Concert Orchestra makes a stop on its US Tour at the Keith Albee Performing Arts Center in Downtown Huntington on Tuesday, April 21 @ 7:30 pm. A magnetic force in classical music, the BBC Concert Orchestra will bring a classic and dynamic program to Huntington. Created in 1952, the BBC Concert Orchestra is one of five British Broadcasting Corporation radio orchestras. With roughly 50 players, the BBC Concert Orchestra spends the majority of its time producing music for the radio broadcast. Tabbed one of the world’s finest orchestras, they have performed the Proms in London, Royal Festival Hall, and Queen’s Diamond Jubilee concert. Keith Lockhart, one of classical music’s most dynamic maestros, became the seventh lead conductor of the BBC Concert Orchestra in 2008. Lockhart is currently the Artistic Director of the Boston Pops and has served as conductor for many orchestras around the globe. 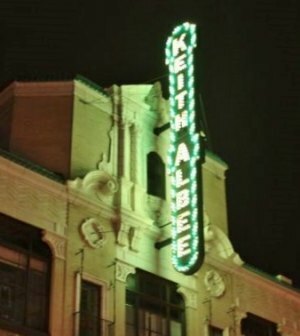 Also, a special pre-show discussion: Artistic Viewpoints will take place at the Keith Albee Performing Arts Center prior to the performance, beginning at 6:30 pm. The discussion is free, but patrons must have show tickets to be admitted into the discussion. Artistic Viewpoints provides guests an opportunity to learn more about the BBC Concert Orchestra and their music. Hailed as one of the most gifted musicians of his generation, Charlie Albright specializes in classical piano and acts as the guest pianist for the BBC Concert Orchestra. Winner of the 2010 Gilmore Young Artist Award and the 2014 Avery Fisher Career Grant, he has performed with the San Francisco Symphony, Silk Road Project, and admired cellist Yo-Yo Ma. With a pedigree for classical music and a work ethic to match, Albright is a dynamic performer with a flawless piano technique. Currently, the BBC Orchestra acts as the house orchestra for BBC Radio 2’s Friday Night is Music Night. Performing daily broadcasts on BBC Radio 3, the orchestra can be heard on such BBC soundtracks as Africa and The Paradise. Highlighting the orchestra’s 2014 schedule of performances was an appearance at the 2014 BBC Proms, including the first ever BBC Sport Prom. A late night concert with Neil Tennant and Chris Lowe of the Pet Shop Boys was the feature of the night and delighted audiences.